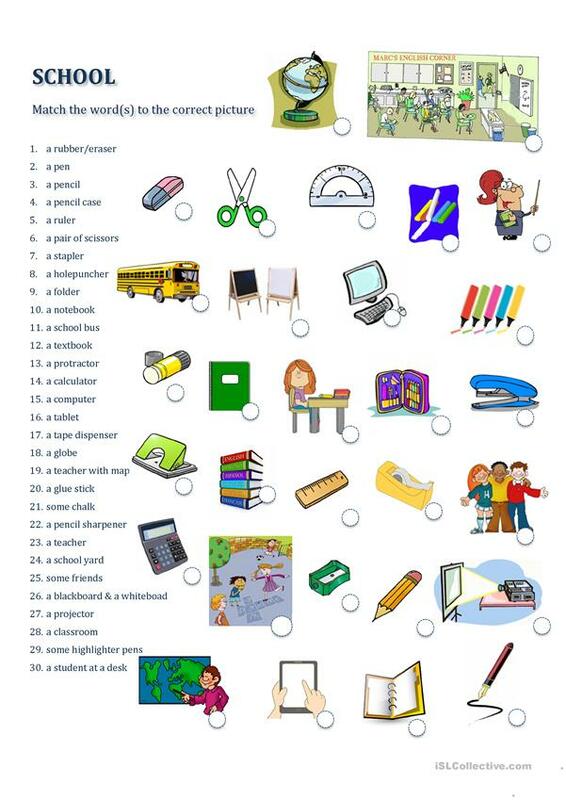 This worksheet is designed to teach students the most used school/office tools/objects. The written word is printed on the left-hand side and pictures of each object are placed around the page. The object is to match the correct tool to its name using a numbering system. The present downloadable printable is recommended for high school students, elementary school students and adults at Beginner (pre-A1), Elementary (A1) and Pre-intermediate (A2) level. It is excellent for working on your students' Writing skills. It focuses on the vocabulary topic of School.